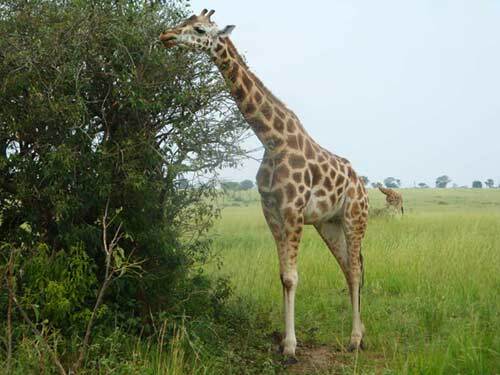 The 10 day itinerary of Uganda starts with a thrilling adventure of White Water Rafting in Jinja, then continue to Murchison falls National park for a Big five animal experience, wildlife and a boat cruise. 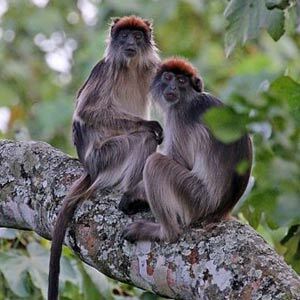 From murchison falls national park, we head to Kibale national park for Chimpanzee trekking and 12 other primate tracking. The adventure continues to Queen Elizabeth National park. This park is blessed with wildlife, Flora and Crater lakes. 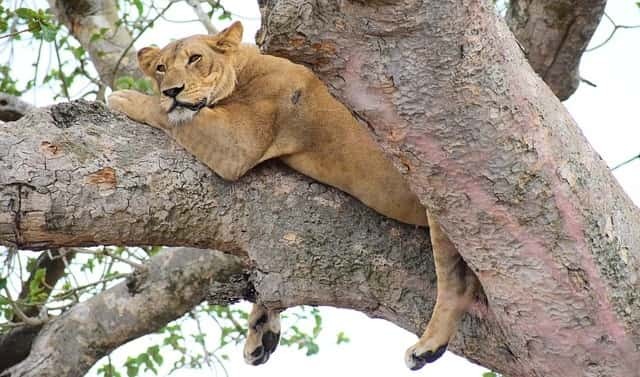 We do game drives, crater explorations, Kazinga Channel boat cruise and end the journey in at Ishasha for Tree climbing Lions. Day 3: Go for a morning game drive searching for big cats such as Leopard, Lions, Hyenas, Elephants, Buffalo, etc. Later we go for an Evening Boat ride to the bottom of the falls view. Here you get to see thousands of Hippos, Crocodiles, Birds, several wildlife as they come for the water break on the banks of river Nile. We also go for a hike to the top of the falls for a panorama view of the falls. Day 8: Travel to Ishasha for the Tree climbing Lions and then continue to Bwindi for the overnight. 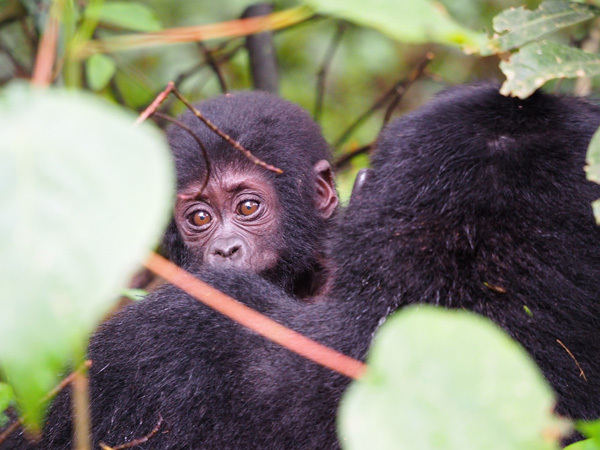 Book your 10 day Uganda Itinerary now! Our 10 day Uganda Itinerary commences with a thrilling adventure on the Nile river. Your driver will pick you early in the morning from your Hotel in Kampala/Entebbe and then drive you heading East to Jinja town. This is an adventure Capital of Uganda. Here specifically for our journey we will head to the Nile for White Water rafting Experience. We go for a half day rafting. Depending on your experience you will be briefed and instructed accordingly by the experts, then finally enter the rafting boat and the thrilling adventure begins. Upon finishing the adventure, your drive-guide will then drive you to your overnight hotel. Early in the morning after breakfast, we head north to Ziwa Rhino Sanctuary for Rhino tracking (the first member of the Big Five family). 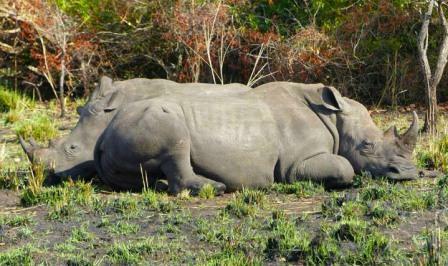 Ziwa Rhino sanctuary is the only place in Uganda where you can track these endangered species in their natural habitat. On this day, we head for a morning game drive with our packed breakfast. On this game drive you have a chance of catching up with the early risers including the big cats (lions and leopard), Hyenas, Elephant, Cape Buffalo, Giraffe, Uganda Kob, Waterbuck etc. After the game drive, we head for lunch and then go for a boat cruise on the Nile for an exclusive date with Hippos, Crocodile, fishing birds, Elephants, Buffaloes and other animals. 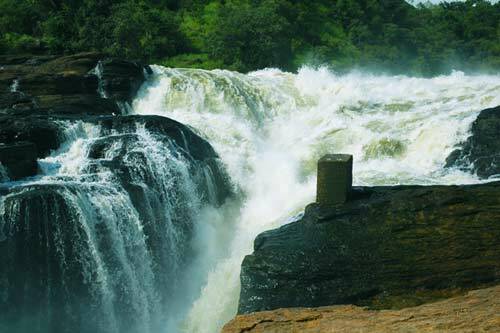 Upon finishing the cruise, we are now at the bottom of murchison falls, we go for a hike to the top of the falls for a magnificent panorama view of the falls. We then head back to our lodge for dinner and the night. We head out of Murchison falls national for yet another game drive filling in gaps left from the previous game drive. 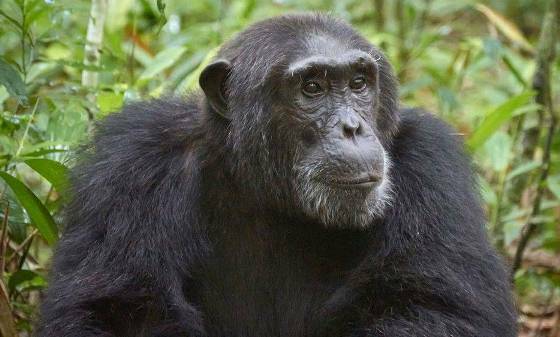 We head to Kibale National park the center of Primate tracking in Africa. On arrival in Kibale, we check in and later go for a community walk in the evening. Early in the morning, we head to Kanyanchu Visitor center(Kibale park offices) for Briefing and group allocation. There, you will be attached to a group headed by a ranger guide. The guide will lead you into the forest tracking the sought after Chimpanzees, our closes relatives with over 99% DNA similar to ours. The length of the trek trough the forest depends on the location of the Primates in the forest since they keep on moving from one location to another looking for food. Upon finding the chimps, you will spend a maximum of 1 hour with the chimps and then head our of the forest. In the presence of the Chimps, you can take pictures(no flash) for your memories to when you return home. 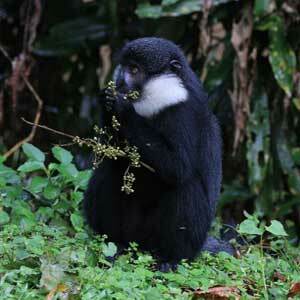 In the evening we head to Bigodi Swamp for other primate tracking and bird watching. Today we head to Queen Elizabeth national park a wildlife sanctuary. This park is blessed with Wildlife, Crater lakes, and Flora. This gives several opportunities for several adventure. On arrival in Queen Elizabeth, we check in the hotel/lodge and then later head for an Evening Game drive for wildlife viewing. We yet have another game drive in Queen Elizabeth searching for Big game and Big cats. 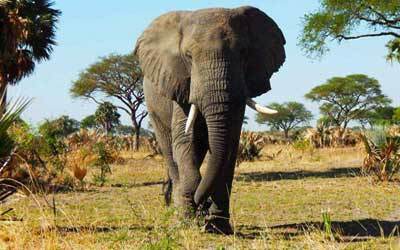 We look for Lions, Elephant, Buffalo, Hyena, Topi and several other animals. From the morning game drive, we head back for lunch and later go for an evening boat cruise on Kazinga Channel. Kazinga channel gives a great opportunity to see thousand of Hippos, Crocodile, Buffalo, Elephant, Birds and other wildlife as they come for a water break on the channel. After the boat ride, we head to the lodge for dinner. Today we head to the southern section of Queen Elizabeth national park. This section is famous for Tree Climbing Lions and other wildlife. After taking pictures of these big cats, we embark on our journey to Bwindi Impenetrable national park for Gorilla trekking. On arrival, we check in the lodge. If time allows, we can go for a communiy walk. 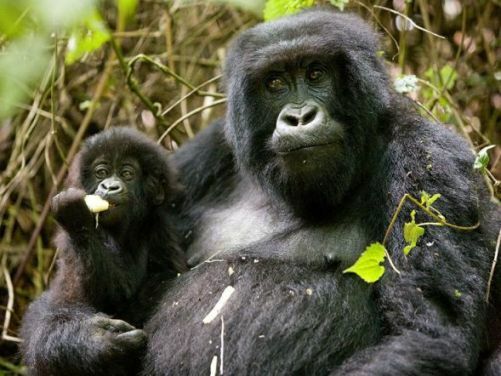 Our 10 day Itinerary of Uganda can not be complete without the renown Gorilla trekking. You will gather at the park offices in the morning for briefing and gorilla group allocation. The park ranger will lead your group of about 8 into the forest tracking the mountain gorillas with his radio communication. Information about the gorilla location is provided by trackers who head into the forest way before your group starts on the journey. When the trackers find the location, they communicate with your ranger about the location and he takes you there, equipped with a machete to pave way through the thick Bwindi forest. Upon finding the gentle primates, you will spend a maximum for 1 hour in presence of these giants before trekking out of the forest. Today our 10 day Uganda safari ends. Our driver will drive you out of Bwindi after breakfast heading to Kampala/Kigali depending on your flight schedule. When heading to Kampala, you will have a stop at the Equator for the Clockwise and Clockwise displacement of water. Here you can also grab a cup of coffee and also souvenirs are available. Book your 10 day Itinerary now! Here is a list of Lodges around the Tourist site.